These features are named Guided Access and Restrictions, respectively. 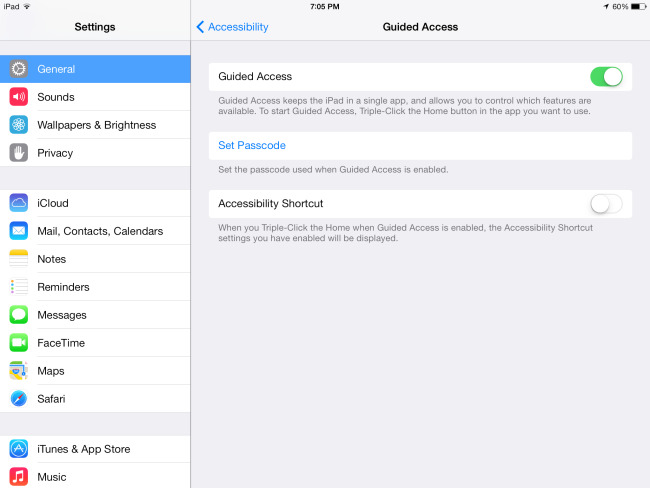 Guided Access is ideal for temporarily handing your iPad or iPhone to a kid, while Restrictions are ideal for locking down a device your kids use all the time. 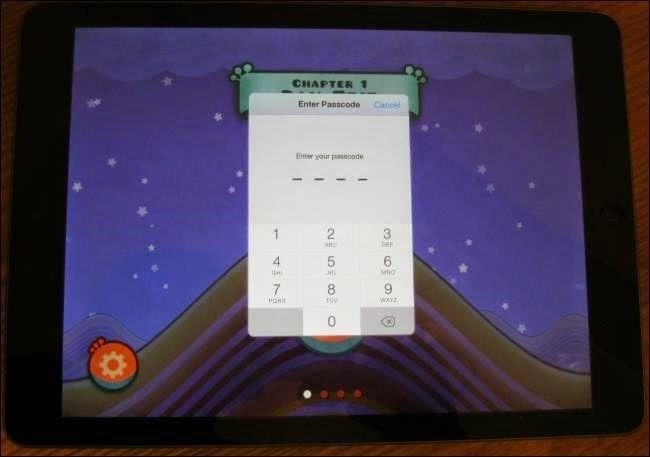 To enable Guided Access, open the app you want to lock the device to — for example, whatever educational app or game you want your kid to use. 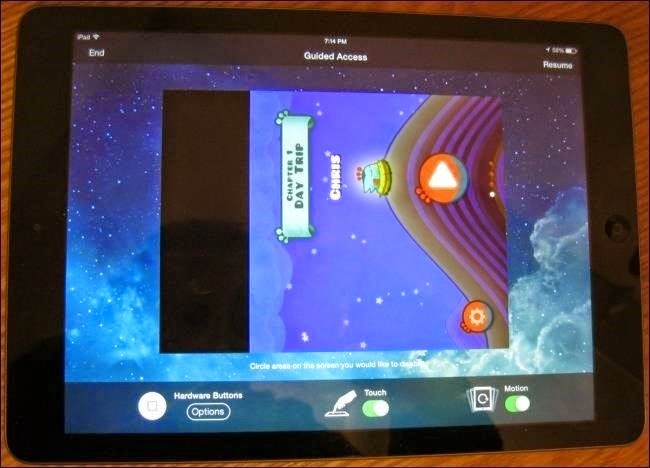 Quickly press the Home button three times and the Guided Access screen will appear. 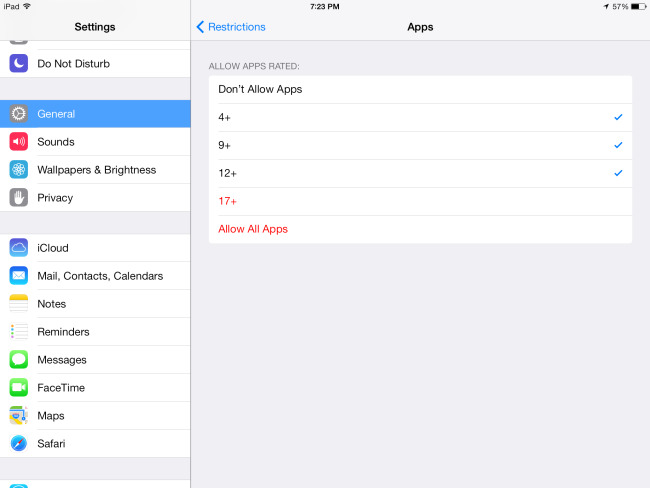 That’s it — whenever you want to enable Guided Access, just open the app you want to lock the device to and “triple-click” the Home button. 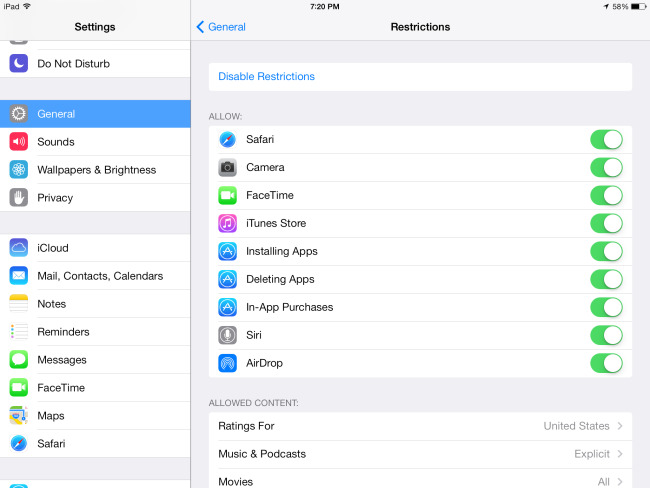 Restrictions allow you to set device-wide restrictions that will always be enforced. 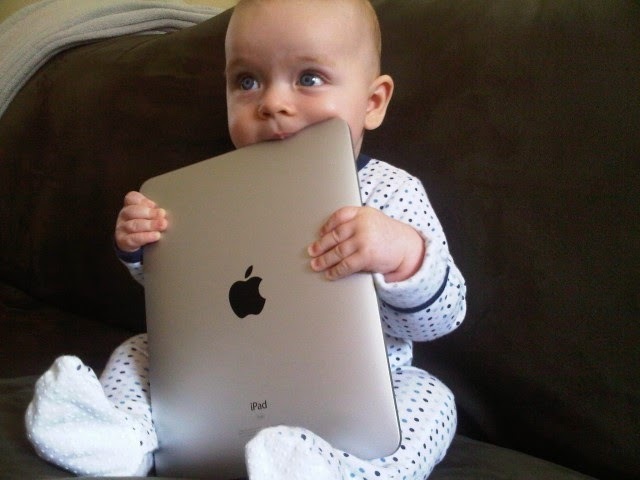 For example, you could prevent your kids from ever using certain apps, prevent them from installing new apps, disable in-app purchases, only allow them to install apps with appropriate ratings, prevent access to certain websites, and lock down other settings. Settings you select here can’t be changed without the PIN you provide.